One of the first things that strikes you upon removing it from it's protective anti-static bag is how bright the colours are. 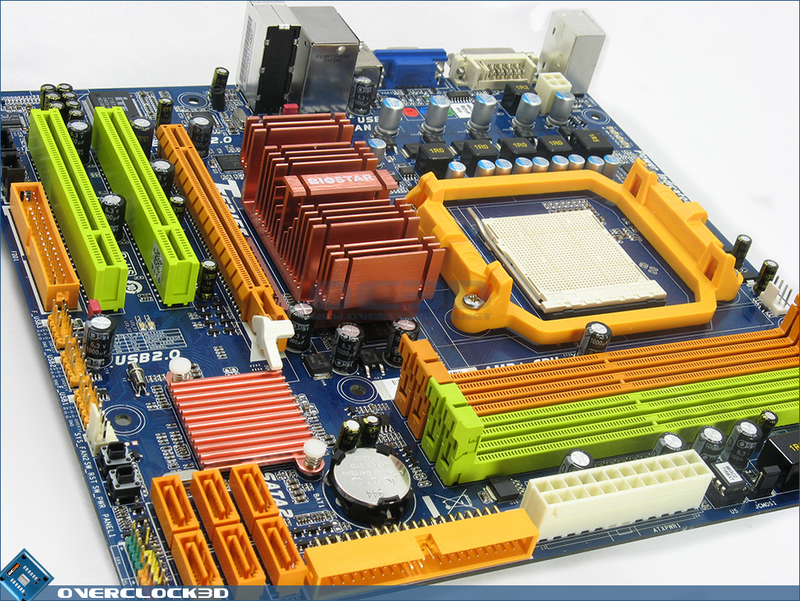 This is definitely not a motherboard for those who fancy stealthy systems. 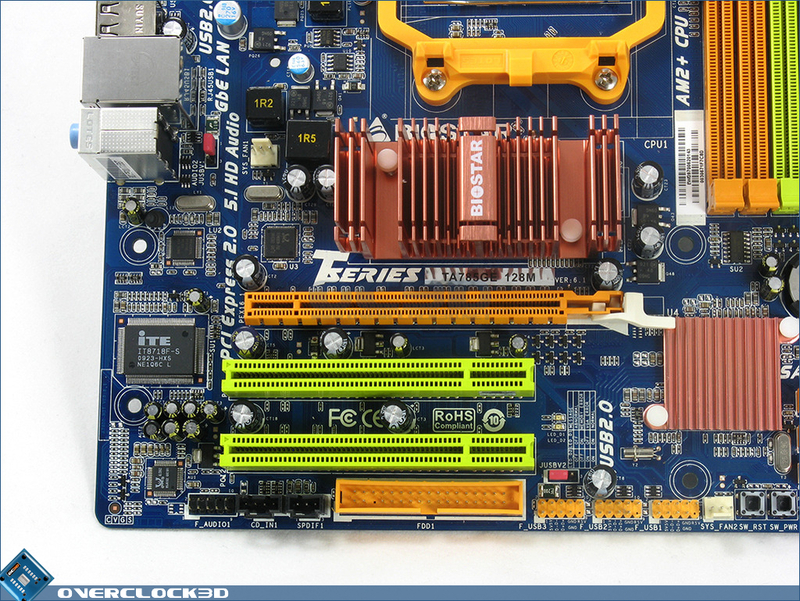 The contrast of two amber and two lime RAM and PCI slots to the cobalt motherboard and lemon CPU socket are definitely not for the faint of heart. I can understand the need for companies to make their product stand out, but this is taking things a little too far for my tastes. At least everything is in this colour scheme, so if you do happen to like the combination of orange, green and blue, you're well catered for. 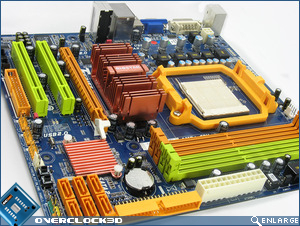 Because it is a Micro ATX form factor, measuring only 244mm x 233mm, it will easily fit into most cases with room to spare. 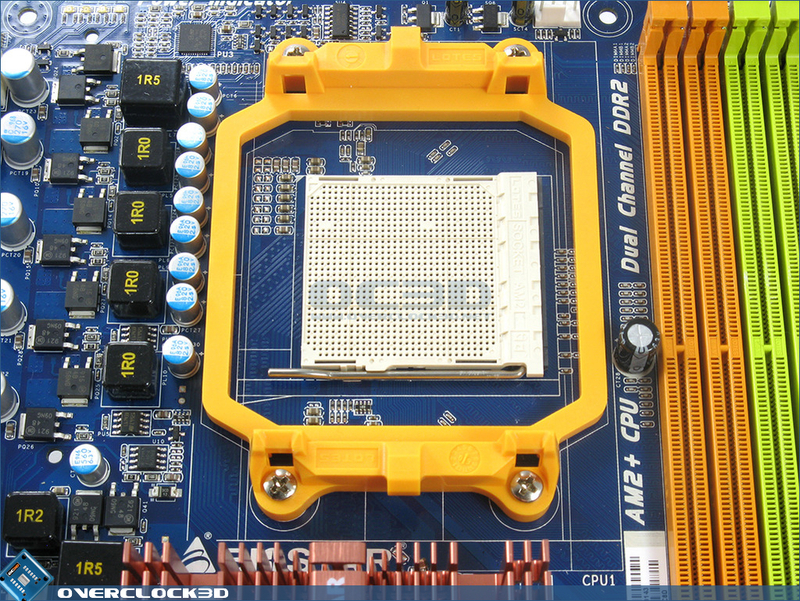 However this compressed format has meant that the CPU socket and RAM sockets are very close together. 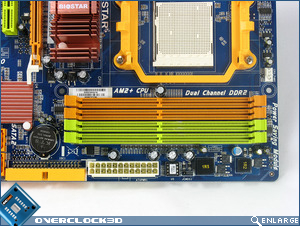 Whilst this is unlikely to be problematic in standard installations if we take into account Biostars proclamation about the overclocking abilities of this board you will need to ensure that a larger cooler will have to be vertically mounted otherwise you'll lose two of your RAM slots. 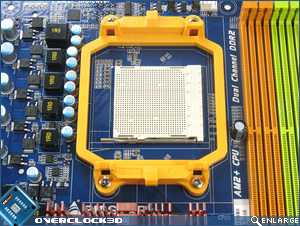 The left picture demonstrates the positioning of the CPU Fan pins. 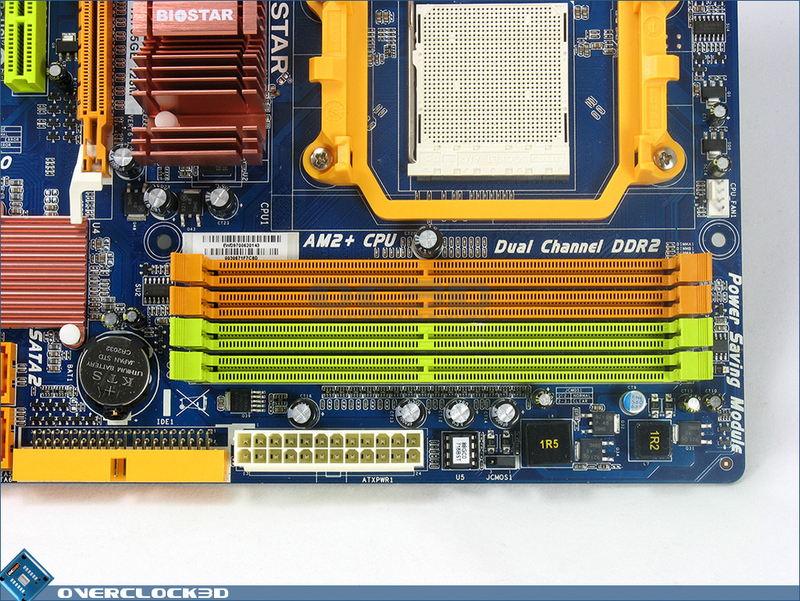 Usually found to the left of the CPU socket it is placed at the top edge of the Biostar. This is actually a very good placement as often once the board is installed and a graphics card in place it becomes almost impossible to insert the fan in a lot of motherboards so it's handy to have it somewhere you can always access even when the system is fully built. 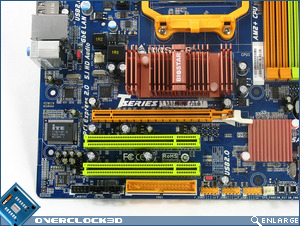 The IDE placement is horizontal, which given its placement right next to the 24pin power, is always useful. More headers should be horizontal for the cable freaks among us. The memory slots support everything from 533 up to 800, or 1066 with an AM2+/AM3 CPU. On the right you can see the three expansion slots. 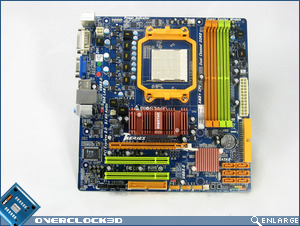 One PCI-E x16 slot, and two normal PCI slots. Below those are the usual audio headers and a floppy slot for those of you still stuck in the 3.5" age. 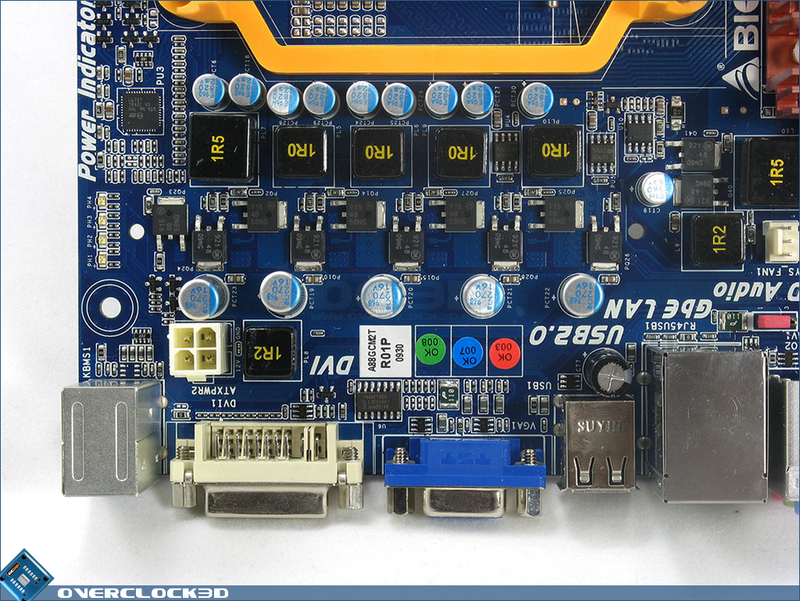 Three USB headers ensure even the most comprehensive system will have enough expansion capability. As a lot of front-panel devices take advantage of internal headers, especially audio and video controllers, so it's nice to see Biostar providing so much connectivity. 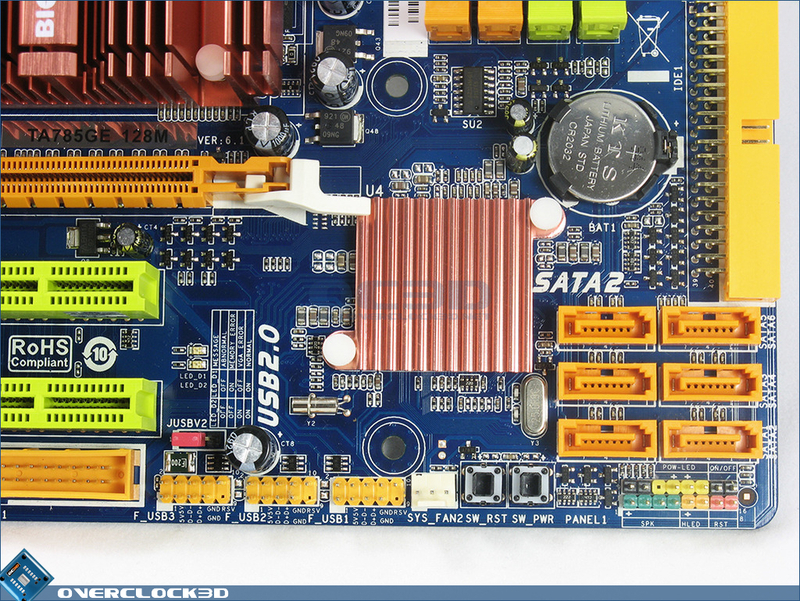 Less pleasing is the fact that all the SATA ports are vertical ones. 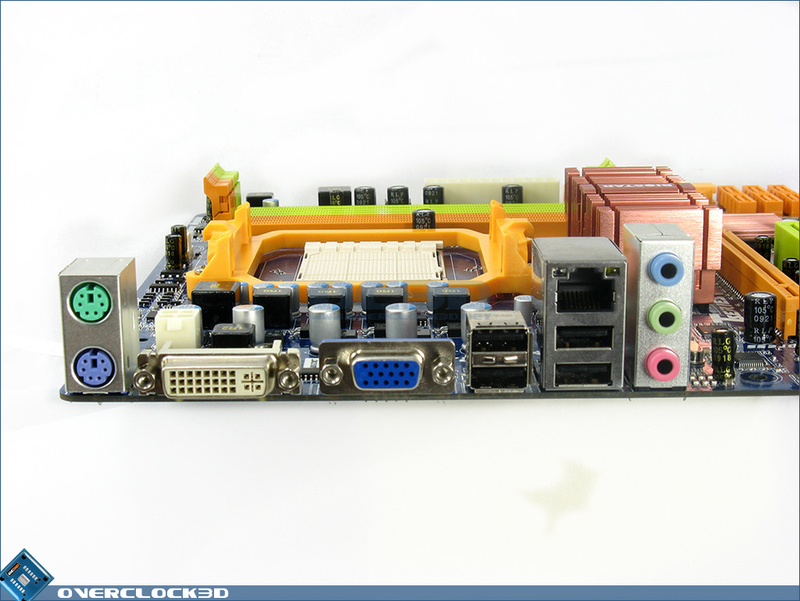 Space is naturally limited on all mATX boards, but it would have been nice to see at least a couple of ports laid flat. The rear panel has all the elements we've come to expect, and also two that are related to the 785G chipset itself.. From left to right, PS2 ports for both keyboard and mouse, DVI and VGA outputs for the onboard ATI card, four USB ports, a Realtek LAN and the three audio outputs for the Realtek ALC662 HD Audio. 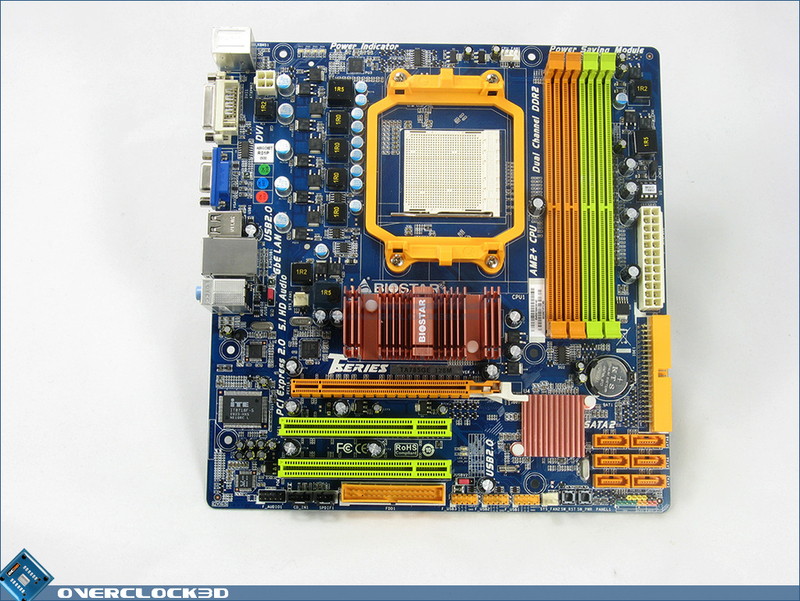 Finally the Power Phase and a general overview of the board, and that insane colour scheme. Phew. Now to take a look at the bundle Biostar software.